The NRA today confessed that its members were not very good at using guns and advised US authorities to get some professionals in to assist with school security. 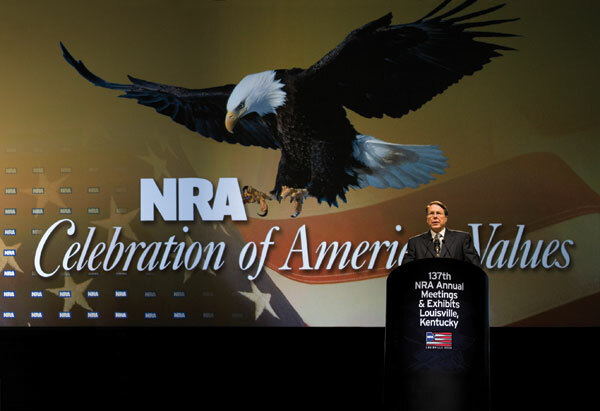 "The only thing that stops a bad guy with a gun is a good guy with a gun and we have always asserted that Bubba and his AR15 can lend his amateurish enthusiasm to the problem,” said the NRA's French sounding Wayland LaBillingsworth. "These school shootings are never stopped by a gun carrying citizen. It’s now time for only professional Americans use weapons of death. " 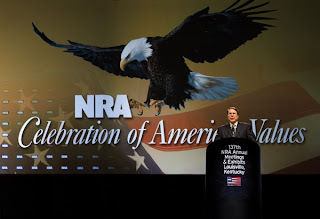 Mister, or perhaps Monsieur, LaBillingsworth's comments came during a press conference when he was forced to admit that the National Rifle Association's age old policy of equipping every US citizen with an assault weapon and armour piercing grenades didn't seem to stop mass shootings across the country. LaBillingsworth said that the revelation of the strength of the former colonial master of the USA had made him re-evaluate the whole concept of personal protection.